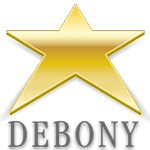 Debony Salon has an amazing line-up of events coming up this summer and taking us into fall! Stay tuned to this page as we are constantly updating event details and adding new events! We hope you can join us for one or for all! will give you insider secrets on how to de-mystify YOUR beauty questions. This is the first in a series of educational evenings Debony Salon will be presenting. Each night will have a different beauty theme with specific points addressed. Follow-up classes to this inaugural class are scheduled for September, a Jane Iredale event in November (see below), and January. We’ll have answers and hands-on applications to make achieving hair and make-up looks that have left you discouraged, easy to achieve in your home bathroom.This will be inter-active and educational. From the elusive blow-out, to the winged eyeliner, to the french braid you’ll leave with skills and confidence to achieve your desired look at home. What: A night all about the guys! for some great company, a good drink, and an awesome haircut. Men will receive a haircut, relaxing steam towel and a beer for $26.00. Book your Men’s Night Appointment. What: Join us for an evening dedicated to make-up! Jane Iredale’s Guest Artist, Jaime Dubreuil will join the salon, where we will be offering mini, 15 minute, make-up sessions to guests. PreviousPrevious post:Why You Need the L’anza Ultimate Treatment.NextNext post:Beauty School 101 at Debony Salon!